Hey there. Today's photo is supposed to be of a heart. 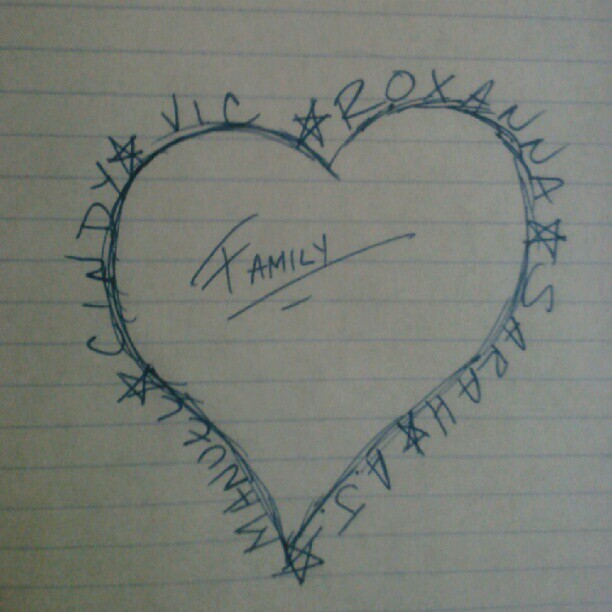 I decided that I would do a quick sketch of a heart with the names of my wife and kids surrounding it. In essence, that is my heart. The wife and kids will always be in my heart and they always come first. The sketch is not one of my best hearts ever drawn, but it's something that I wanted to share with you. Later!